for more information, or to be part of this program. The study includes three arms; the telephone intervention, text messaging intervention and the control group. The two intervention groups consist of: (i) SMS support + mail-outs; and (ii) Telephone support + mail-outs and the control group mail out will cover usual care, in which all new mothers receive along with health safety promotion material and a newsletter on “Kids’ Safety” four times a year. 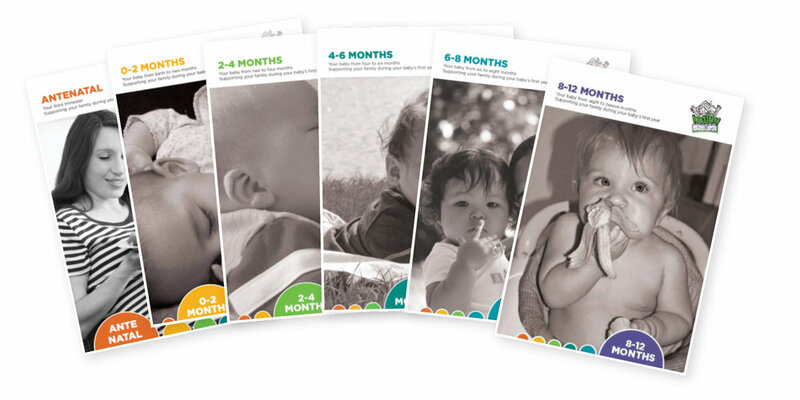 Both intervention groups will receive six packages of written materials by mail according to the developmental stage of their baby (third trimester of pregnancy, 0 - 2 months, 2 - 4 months, 4 - 6 months, 6 - 8 months and 8 - 12 months). based on the successful Healthy Beginnings Trial (2007-2010). Mothers in the control group will receive usual care provided by the usual childhood nursing service from Community Health Service nurses in the local districts 4 times over the study period. All the written material, telephone support and SMS support was developed and provided by Dietitians, Child & Family Health Nurses and Lactation Consultants with extensive experience in working in maternal and child health. The unique aspect of the study is that it explores the impact of low cost interventions in promoting healthy infant feeding practices and active play. THE NEW HEALTHY BEGINNINGS APP FOR IPHONE IS HERE! PREVENTING THE ONSET of overweight and obesity in children is an important public health priority. Rates of childhood obesity in Australia are one of the highest in developed nations. The overall prevalence of overweight and obesity in Australian children doubled between 1985 and 1995 and the epidemic is evident in children as young as 2 years. Whilst overweight and obesity typically have their greatest impact later in life, longitudinal studies have shown that they have significant adverse effects when acquired early. Further, obese children have a 25-50% risk of progressing to obesity in adulthood and this risk may be as high as 78% in obese adolescents. In addition, there are significant medical and psychosocial consequences, which affect the obese child during the childhood period. There is increasing epidemiological evidence linking early nutrition with the development of obesity in children and adults. A recently published meta-analysis has shown that children who were breastfed have significantly lower levels of obesity than those who were formula fed. Early introduction of solids and consumption of energy dense foods are associated with higher rates of obesity. A strong, positive association has been found between the consumption of soft drinks and obesity in different cohorts of older children. Energy expenditure, like energy intake, is an important factor in the development of obesity. Physical activity has a protective effect against weight gain in children. Prolonged exposure to sedentary activities, known to be commonplace amongst Australian children, is positively associated with the presence of obesity. This suggests that obesity interventions need to commence as early as possible. The impact of the child’s environment on their nutrition and physical activity also suggests that a family-focused approach is required.